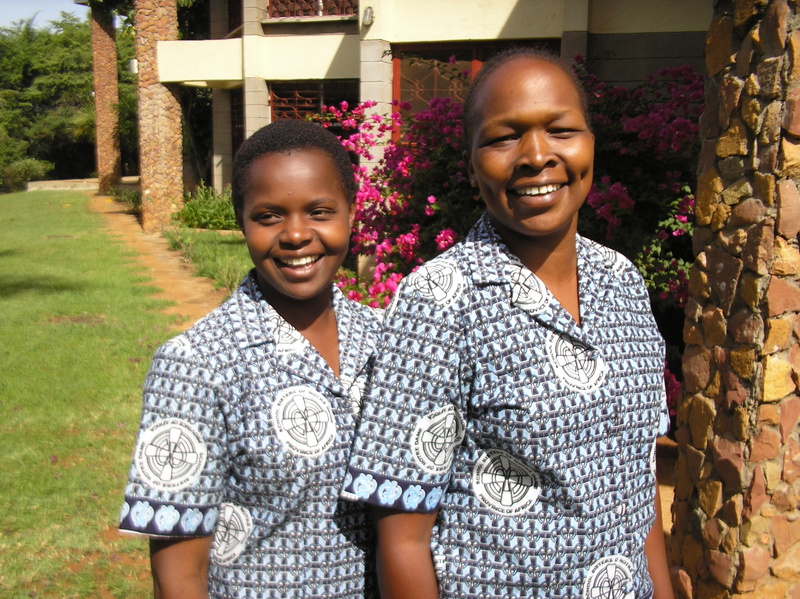 Sisters from the Kiptere Community in Kenya sent this picture and information. 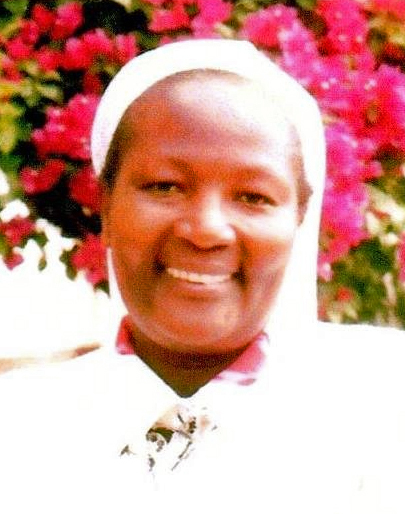 Sister Jacinta is welcomed home to Kiptere. 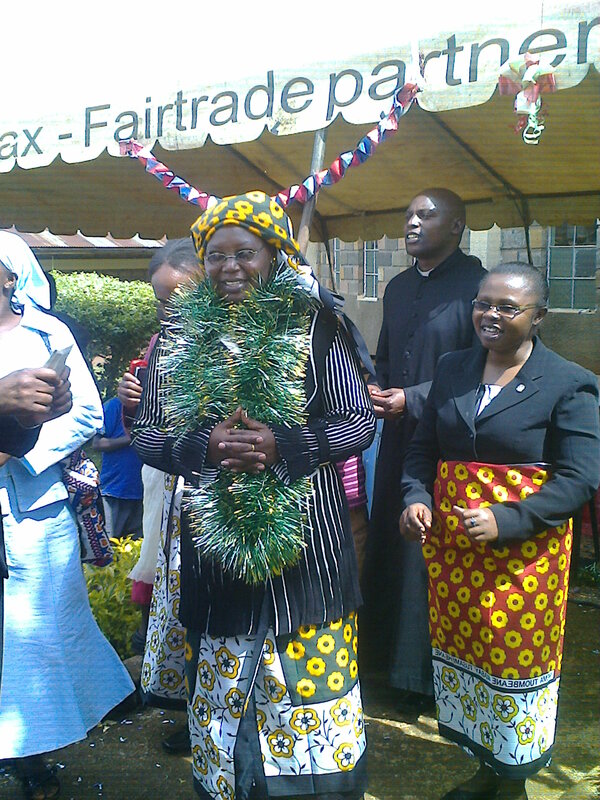 The larger community of St Francis comprising the Parish Church and schools celebrated Sr Jacinta Kanini’s homecoming after her perpetual vows celebration. She was dressed in the cultural way as a woman in Kalenjin* community. This shows the love and oneness that these people have with SSND. 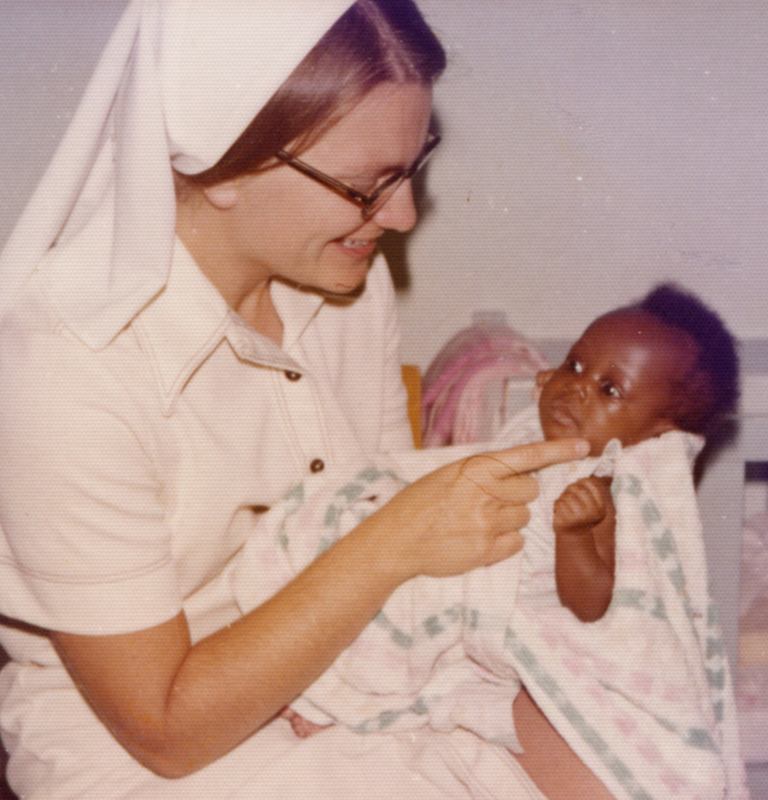 Many young girls were encouraged to follow in the footsteps of Sr Kanini who was celebrated. 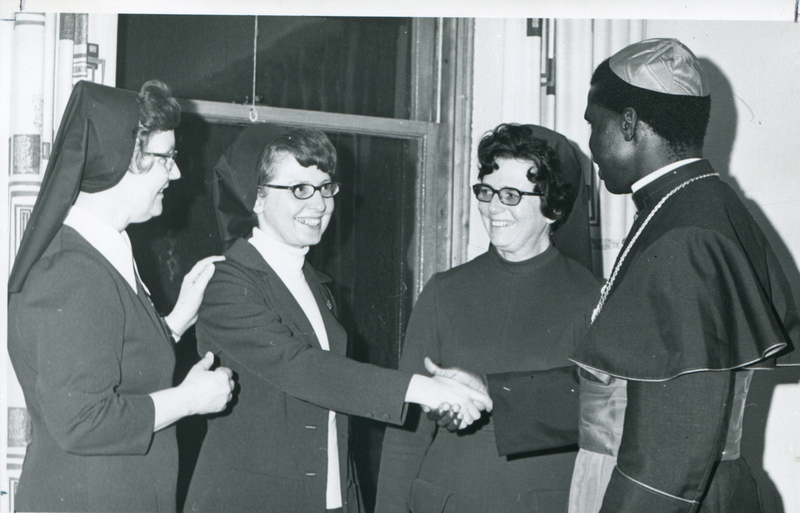 This event strengthened our sense of solidarity with the people we serve and promoted unity among the Christians. There was lots of dancing, singing, jubilation and speeches by different groups. 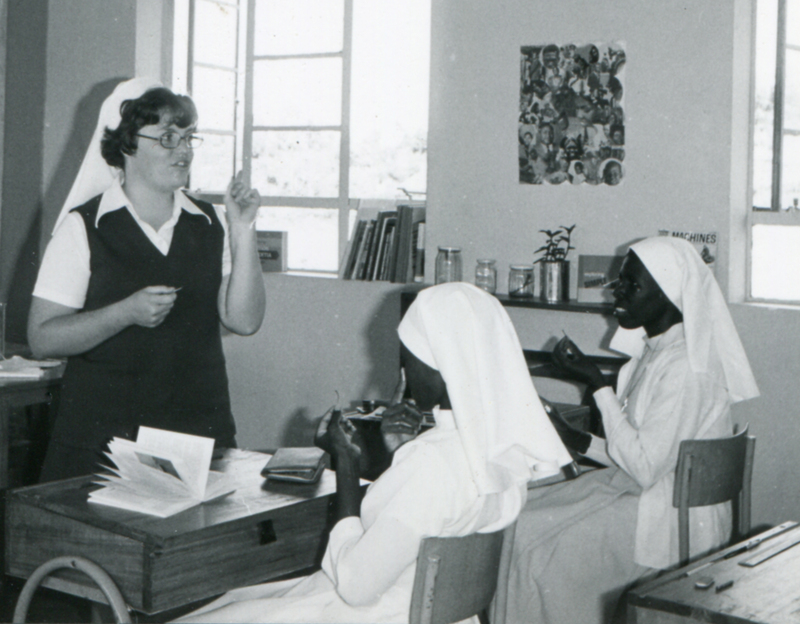 Categories: Uncategorized | Tags: Africa, african sisters, Final Vows, Jacinta Kanini, Kalenjin, Kenya, Kiptere, School Sisters of Notre Dame, Women religious | Permalink. 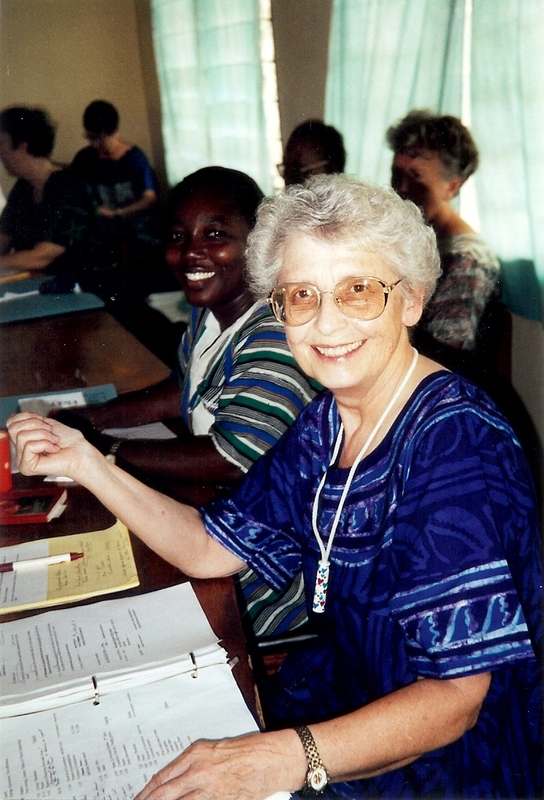 Novice Beatrice Mwalimu writes of her ministry. I minister in an orphanage; Hanukkah Children’s Home. 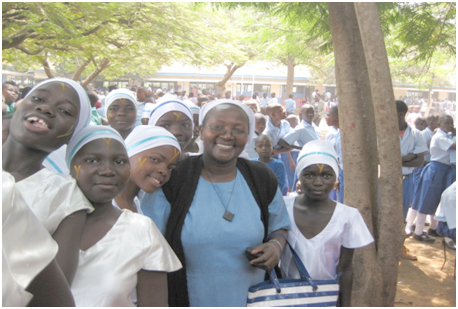 The children are of different ages, schooling from kindergarten to Junior Secondary(freshman). A few among them are challenged both physically and mentally. The boy Lucas attracted me. Lucas a small boy aged ten, is in Kindergarten. He is physically challenged by paralyzed legs. He uses his two hands to move. He can move as fast as the rest of the young ones. The first time I went to Hanukkah, I was struck to see this boy crawling to reach us as others walked. I asked one of the boys to help, but he said, “Have no worry, he will come.” I was surprised to see him crawl to the small hut where we were. At first he was resistant when I invited him to come and play with us. He later came and sat on the ground, under the bench, and he started playing with our legs. Watching him keenly I responded by moving my legs up and down and that is how we started communicating. First play, then talk. I was so happy to see him laugh when I yelled as he touched my legs. It was a motivation to him to play more. At some point he climbed on the bench and played with my hair. He told us the experiences of the school he attends. This boy can tell stories not only in words but in actions, too. He acted as the teacher and we became his students. He brought out all the characteristics of his teacher and he said the common words used in a school setup, for instance, “class, Keep quiet; behave like your brother; run to the assembly; spell the words correctly” and many more. Lucas’ way of relating is unique. He invites a relationship using words such as, “leave me alone, I will not come to you; run before I catch you” and this leads us to play by chasing one another. Eventually we come together to sing songs he learns in church like “God loves me, oh yes he loves me.” We also share the bible verses and act the teacher-student game. Lucas is jovial, intelligent, relational, and always lively. He does not feel less; he laughs and plays a lot. He is a disciplined boy and he feels proud to act as a teacher. Lucas is a gift to me. I am always filled with joy when I am with him. I also get inspired to thank God for Lucas’ special gifts which have given me another way of re-imaging God in every person. 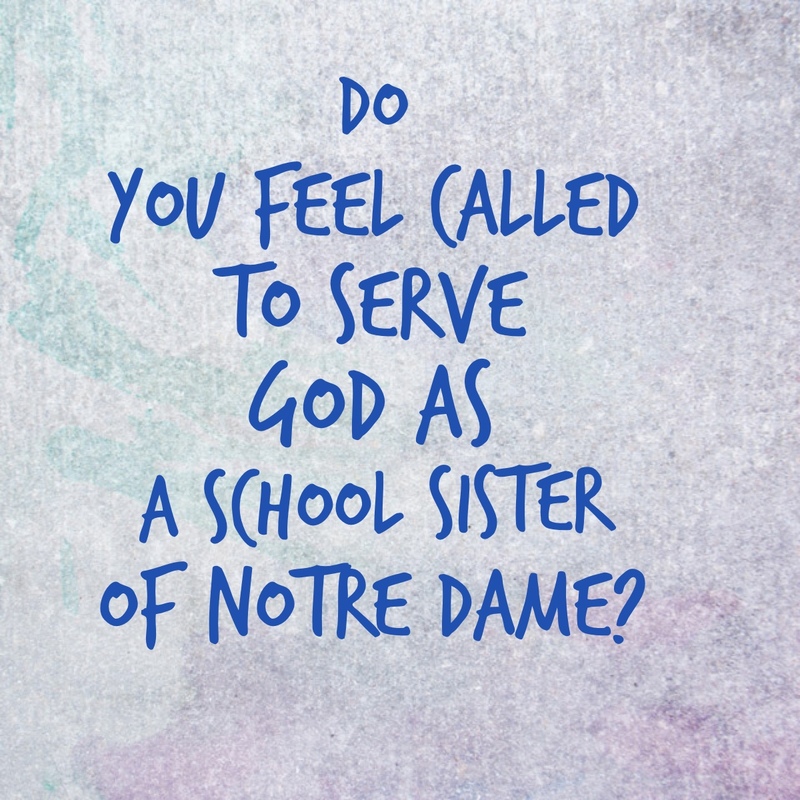 Categories: Uncategorized | Tags: Africa, Children, Christianity, Kenya, Novices, Novitiate, School Sisters of Notre Dame, SSND | Permalink. 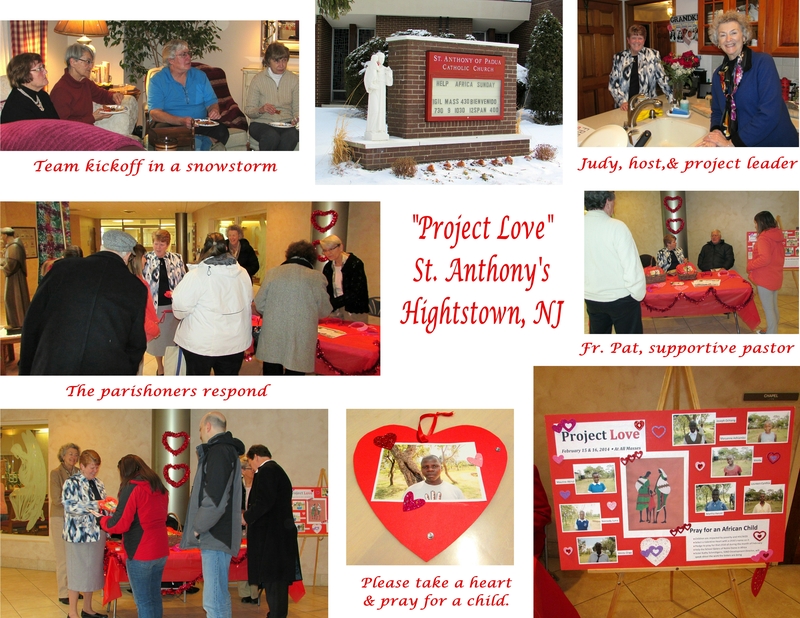 The Social Justice Committee at St. Anthony of Padua in Hightstown, NJ raised money this weekend for the children cared for by Notre Dame Children’s Outreach in Kenya. Thank you to everyone who helped especially Judy Camisa!! 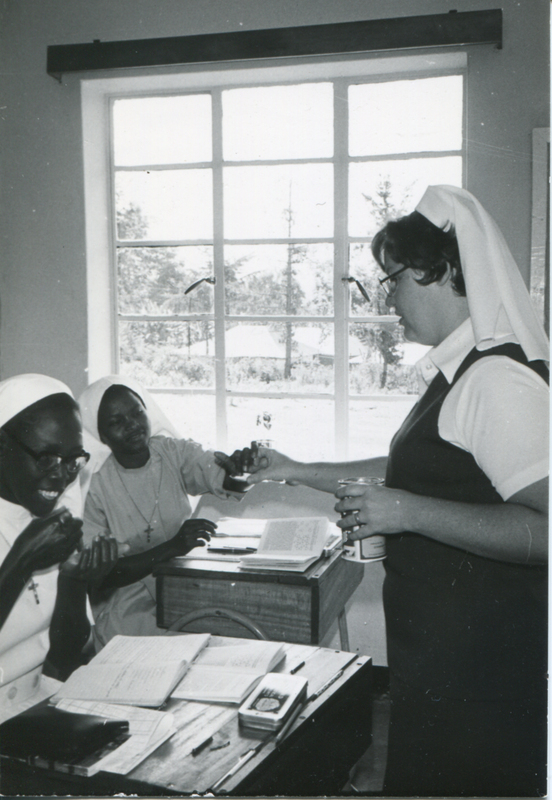 Categories: Uncategorized | Tags: Africa, Kenya, NJ, Notre Dame Children's Outreach, Project Love, School Sisters of Notre Dame, St. Anthony's in Hightstown | Permalink. 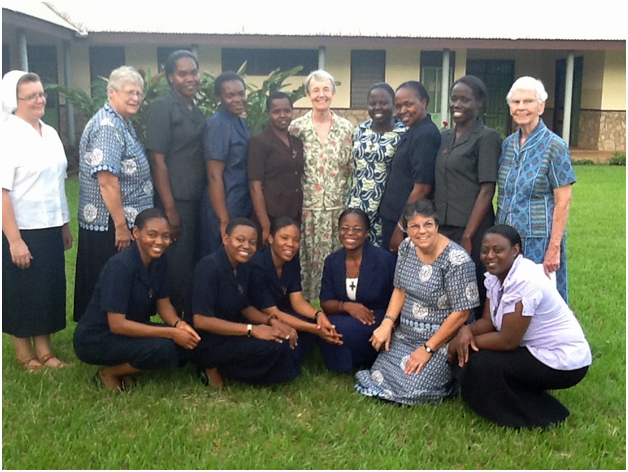 This post comes from two of our Postulants, Beatrice and Edna. 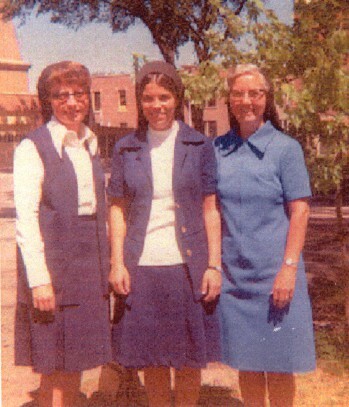 Postulants are in their first two years of formation to become sisters. Our African Postulate is in Kisumu, Kenya. 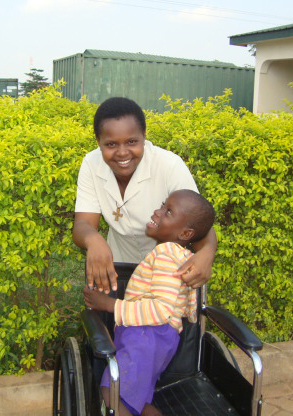 We minister in a rehabilitation Centre located in Pandipierri, a section of Kisumu, Kenya. 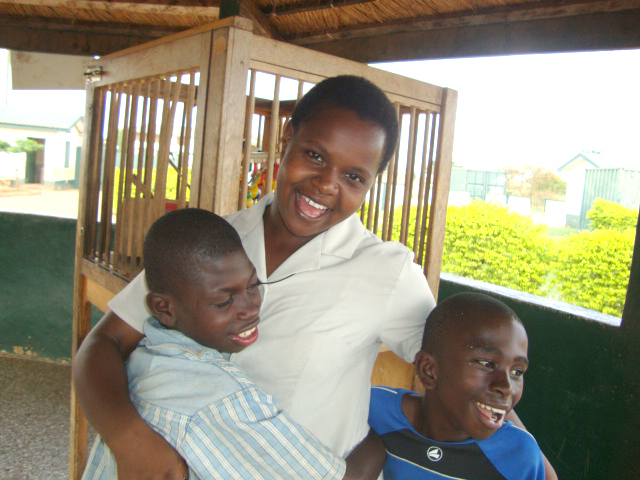 It rehabilitates children from the street who after three months are integrated back into their families. The center provides an informal education and the children from impoverished families in the community around are also invited to attend. 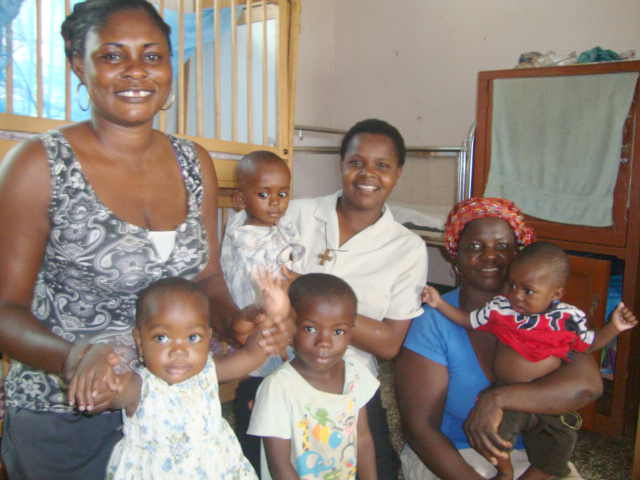 It provides food, security, clothing, counseling and it helps the children trace their families. Being an informal education centre, we have many different activities to engage the children. For instance during the weekdays we have lessons in the mornings e.g. the computer classes library reading, discussions on topics affecting them such as human trafficking, health education and sometimes even debates. In the afternoons we have social activities like spotting activities and drama. On some occasions we show them films on educational issues. A recent one was about the post-election violence since some of the children were victims of 2007/08 violence in Kenya. Apart from teaching we do “street walk”. This is the walking to and in the street in search of children. In our walk we need to dress simply and humbly in order to be accepted by them. We have also learned some slang Swahili (sheng). This is their language and a certain way of greeting. There are different categories of people living in the street i.e. street parents with their children, youth age 20 years and above, those around 14-19 years and the younger ones from 3-14 years of age. They group themselves according to the ages above and form their small homes whereby they come together in the evening. Each home has a name and they take care of themselves. These homes are located in certain places for example, behind the bars and the bus stations. Just an example, we have a place called Fanana with many small buildings. Between these buildings there are corridors which provide small living spaces for them and this is where many live. They even have fireplaces to cook their food. As a centre we target children age 3-14 that can listen, change and are ready to go back to school. In meeting them, we greet and then have an interview to get to know them. Most of them lived in extremely difficult economic situations and so find the street a better home. Eventually many get involved in drugs either alcohol consumption or glue sniffing. After the interview, if they choose to join us, we invite them to come to the centre. 1. Orphans who are left to uncaring relatives. 2. Children born in the street of street parents. 3. Children kidnapped and later dumped in the street. 4. Those who receive mistreatment from parents/foster parents. 5. Those rejected by parents who fail to take their responsibilities. 6. Undisciplined children who run away from home because they don’t want to help their parents or they don’t want to go to school. Categories: Uncategorized | Tags: Africa, Children, Kenya, Street Children | Permalink.